Lowtide x Two Cartoons — lowtide. Lowtide had the pleasure of hosting Two Cartoons as they released their newest single "Hospitality" yesterday! The coffee grinding, burrito-making duo by day and pop-rock sensation by night, Isaac and Brad, accompanied by Jamie and Kieran of SPAWTS, gave us the low down on what inspired their motivations for the song. 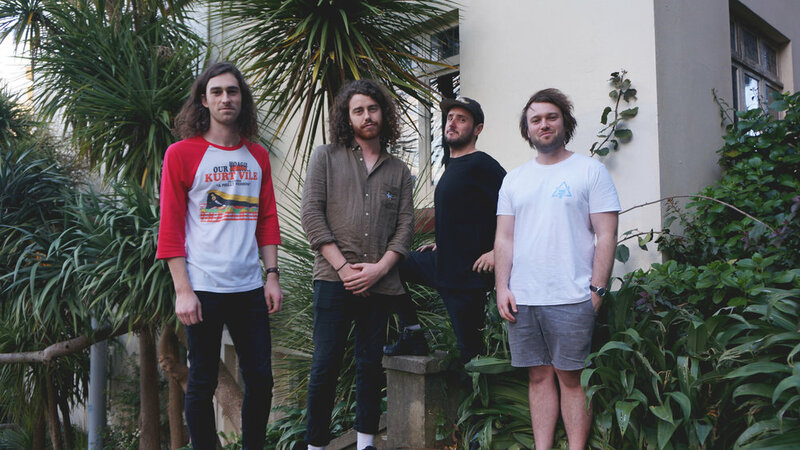 I: We'd just finished our tour in April and returned home to our hospo, rent-paying jobs - and I thought to myself "Oh god I'm back here again" - so we got writing together at the Mt Wellington flat, and within the week put together the single. It's about working in hospitality to pay rent while doing art but you end up just doing hospitality most of the time! Also it seems completely fine when you enter hospitality... until its completely not fine, and you end up being this horrible jaded person who can smile in any situation. B: We've both worked in bars and cafes but we've come to realise working in bars takes up our evenings - especially if we want to perform music. So I make coffee, Issac makes burritos. I: Healthy burritos! The first gig we played it at, the sound engineer said he really liked our set and described us as a "Country Blink-182" which I think is predominantly because of Hospitality - definitely the best compliment we’ve had in awhile. B: We've only played it a couple times and for our close friends in Dunedin so it's very new for tonight's crowd! I: This will be ahead of our EP release in November, and the new album next year. Follow Two Cartoons for more dates and new releases!